I first met Florian Nigen when he was operating Rendez-Vous French Restaurant in Bangsar more than 2 years ago. When his business partner decided to return to France, Florian decided to start something smaller and more manageable on his own. 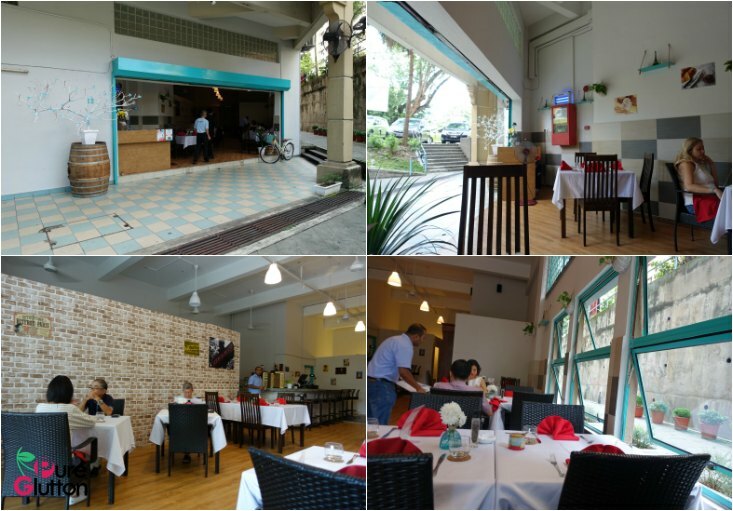 Scouting around Bangsar, he spotted a corner lot in a quieter part of Bangsar which he deemed would be perfect for his new venture. 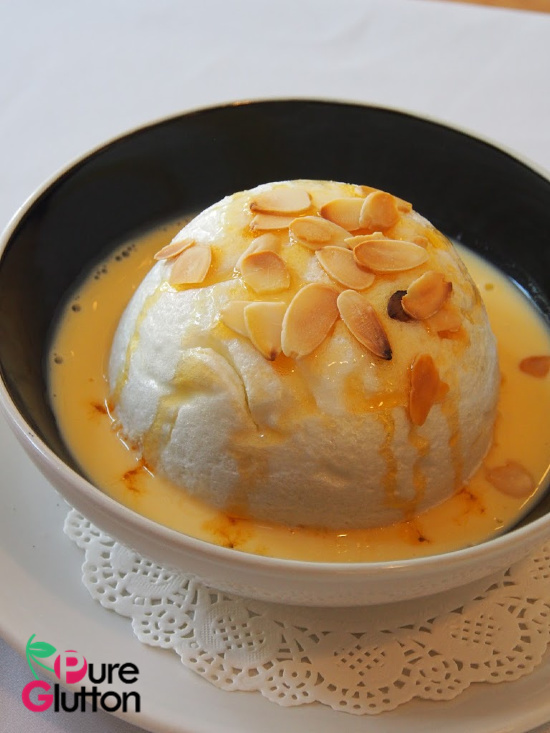 Hence “Chez Gaston” took shape along Jalan Bangsar Utama 9, a road housing several smaller eateries, a convenience store and even a solicitor’s office! 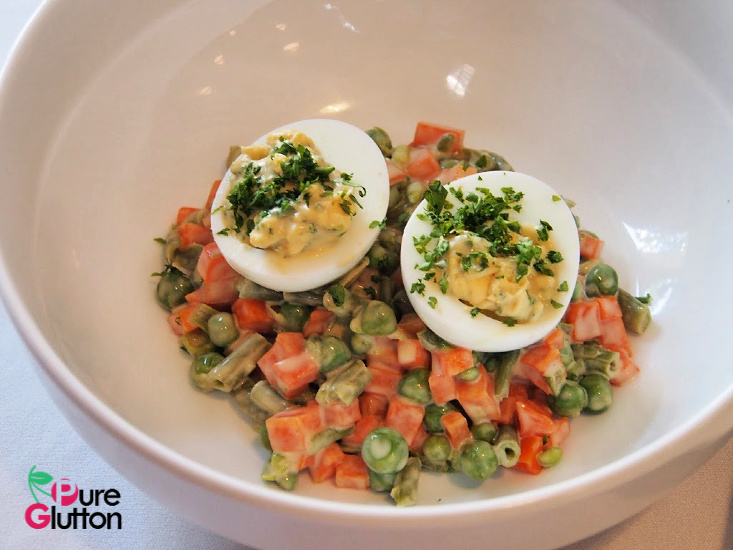 At Chez Gaston, Florian takes full reign of the operations, from buying the freshest ingredients at the market to coming up with reasonably-priced dishes for his diners. 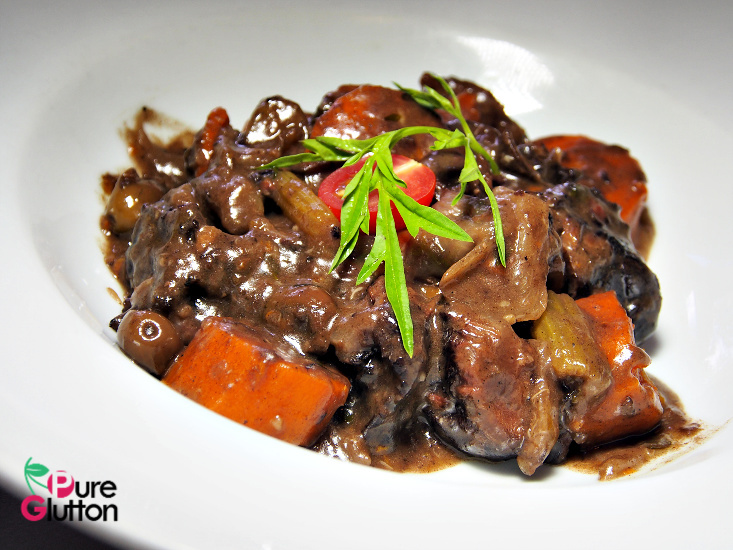 Affordable and quality food, prepared and cooked the traditional French way is what Florian aims to please his customers. The menu at Chez Gaston is simple and offers what Florian does best, with changes done whenever there’s seasonal produce he wants to highlight and introduce to his clientele. So there we were, one balmy Sunday afternoon, for lunch. 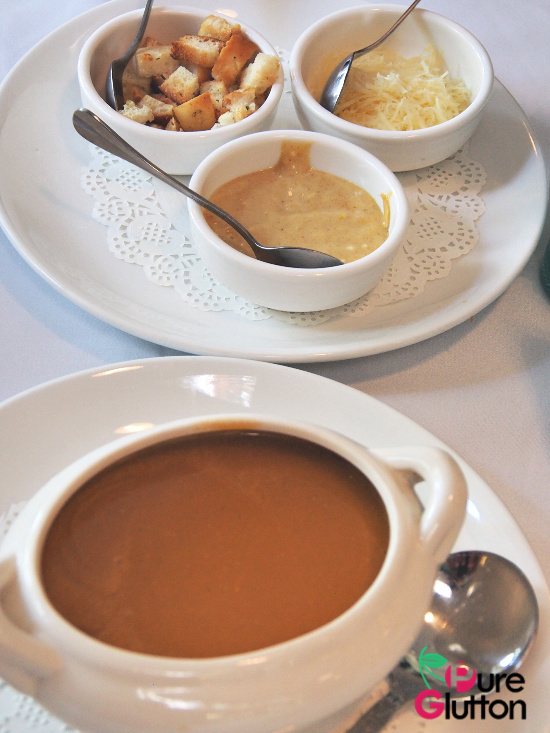 We started off with a salad – Macedoine Mimosa, some pate with bread and a signature soup. 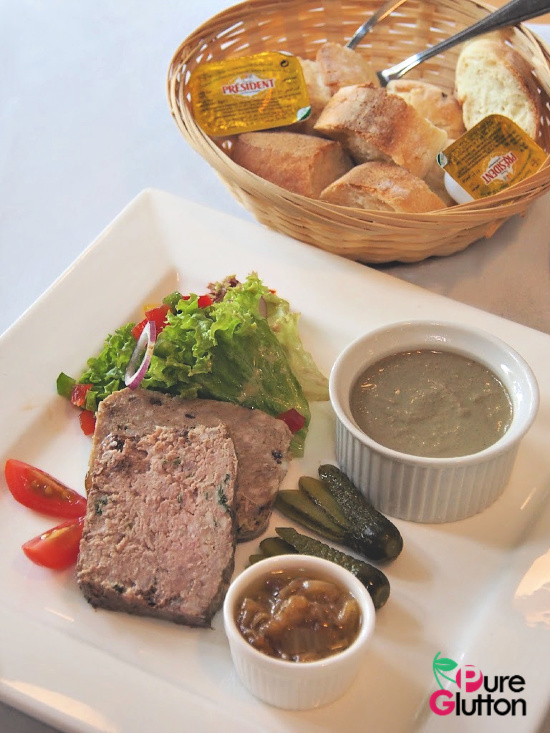 While the salad was just ordinary, we enjoyed the selection of pate made by Florian. There’s the regular smooth Chicken Liver Pate which was familiar but we enjoyed the rabbit & dried prunes pate more. The wild boar pate with figs was faultless as well and we finished off the bread in next to no time! Using Florian’s father’s trusted recipe, the Mediterranean Fish Soup was really good. There’s a good depth of flavours as the stock was boiled using 4 types of fish! With tomatoes and herbs added in, the soup tasted even better with rouille sauce, croutons and emmental cheese. 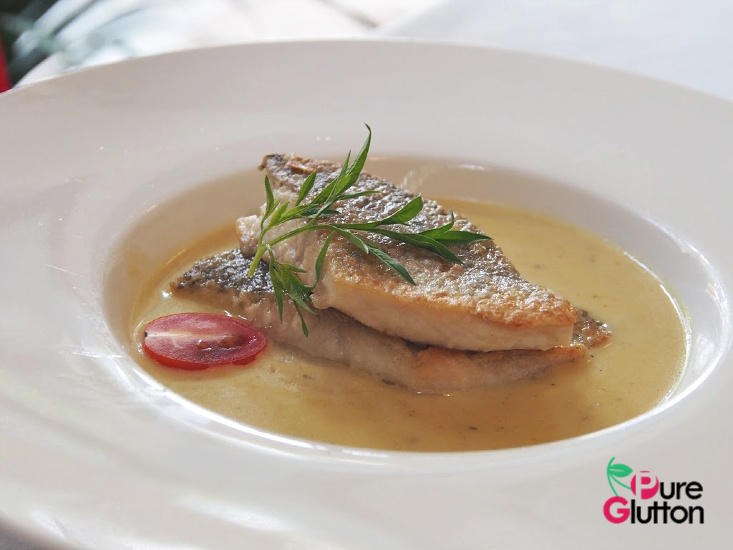 Another chef’s signature, Seabass “au safran” was fresh and served with a luscious creamy sauce infused with saffron. 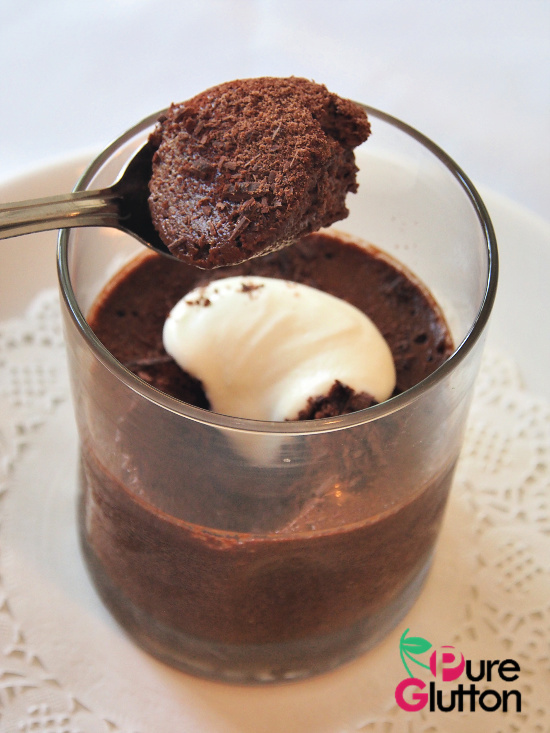 The next time you feel like having a French meal but don’t want to bust the wallet, Chez Gaston is the place to head to. Ahh, didn’t realize it’s from the same person who started Rendez-Vous, nice!